For several centuries the seams of the Rivers Lune and Upper Ribble were an important local resource producing coal for domestic and small scale industrial use in forges, potteries, brick kilns, limekilns and smelting mills. The monograph covers the geological environment of the carboniferous period and coal formation processes. 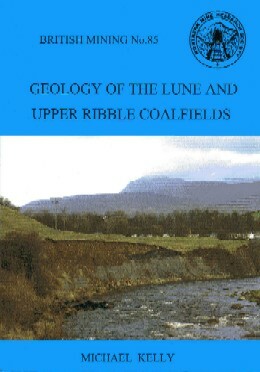 The geology and some of the history of the coalfields is discussed and there are geological maps of the areas with coal workings and some limekilns are shown. The areas stretch from the Rawthy Valley in the north to Caton and Quernmore in the south and Fountains Fell in the east. The Ingleton / Burton Coalfield is covered in detail and this is a complement to BM 76 The Ingleton Coalfield. The monograph concludes with a description of the techniques used for mining in the area and patterns usage.